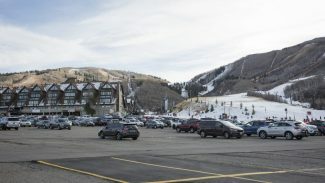 The Park City Planning Department over more than a decade has drafted numerous reports about the Treasure development proposal. 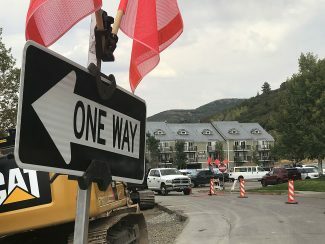 But, according to the department, none of them have included a recommendation – neither for approval nor denial — for the Park City Planning Commission to consider. A recommendation, when it is made, will be a pivotal moment in the Treasure discussions that could help guide an eventual vote by the Planning Commission. An attorney for a Treasure opposition group in an October letter to the Planning Commission briefly addresses the topic and, apparently inaccurately, indicates a recommendation has already been made. 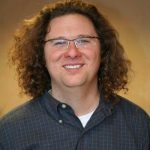 The Oct. 4 letter, addressed to the Planning Commission, comes from Charles Stormont, the attorney who represents the Treasure Hill Impact Neighborhood Coalition. The eight-page letter covers numerous issues related to Treasure. The project dates to an overall approval secured in the 1980s. In one section, Stormont discusses the Treasure partnership’s desire not to tinker with the overall 1980s approval as part of the current review. Because of that, the Treasure Hill Impact Neighborhood Coalition “would encourage the Planning Commission to follow Staff’s recommendation to deny the application in light of the numerous violations” of the 1980s approval as it relates to the project’s size and square footage. City Hall staffers, though, say they have never made a recommendation, a position in dispute with the comment in the letter from the attorney. Francisco Astorga, the City Hall planner assigned to the Treasure application, said in an interview the Planning Commission has never requested staffers craft a recommendation. A recommendation would be outlined in a set of findings for approval or denial. Astorga said staffers will not draft a recommendation until the Planning Commission discusses numerous other issues. He said important topics that the panel still must address include the traffic Treasure is expected to generate, utilities, land that will be set aside from development and routes for emergency vehicles. The Planning Commission has spent much of its time on square footage and related topics. The Planning Commission is not bound by a recommendation by staffers, but the details of a recommendation are typically drawn from directions made by the panel over the course of a project review. The Treasure Hill Impact Neighborhood Coalition, sometimes referred to as THINC, has led the opposition to the project, and much of its focus in recent months has been on square footage as the Planning Commission delved into a detailed discussion about the numbers. The Treasure partnership argues for an approval involving approximately 1 million square feet, claiming that the 1980s approval envisioned a project like the one now proposed. The opponents, though, claim the project has expanded well beyond what was contemplated in the 1980s and are concerned about issues like traffic, the height of the Treasure proposal and the impacts of construction. Stormont said in an interview he wrote the statement in the letter regarding a recommendation based on references in Planning Department staff reports. He said the department reports describe the developers as not addressing key issues. 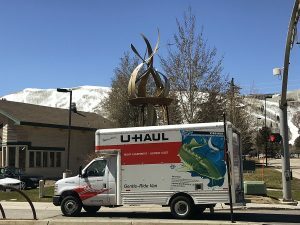 The Planning Commission is scheduled to address Treasure at a meeting on Wednesday at 5:30 p.m. in the Park City Council chambers at the Marsac Building. Planning Commission meetings with Treasure on the agenda have been shifted back to the chambers, the normal site of panel meetings, from the more spacious Santy Auditorium at the Park City Library as a result of smaller crowds at recent Treasure meetings.